When I was growing up, my first bikes that my dad bought me were Schwinn bikes that we rode on all over the neighborhood. It was a bright metallic blue bike with a banana seat. Man, those were the days! Y’know, back then the Schwinn name was one that was highly thought of when it came to bikes. In fact, without fail you could buy pretty much any model of Schwinn when I was growing up and know that you were getting a quality bike. But, times are a changing and Schwinn is no longer king of the mountain, so to speak. So, that leaves the question – are Schwinn bikes still good? And more specifically, how are their mountain bikes? The answer here is a little tricky. Are they as good as they once were? Definitely not. In general terms are they good? Well, if you’re serious about mountain biking (or cycling in general), then the answer is no. 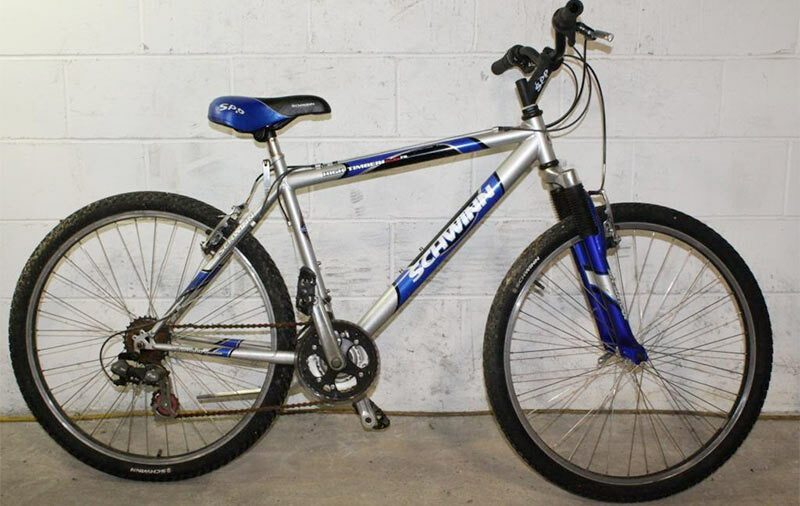 If you’re just looking for a cheap mountain bike or road bike to tool around on when it strikes you, then a Schwinn is an okay choice for the casual bike rider. And they are certainly easy on the wallet and even easier to find your local Walmart. Are Schwinn bikes still made in the USA? Are Schwinn mountain bikes worth the money? What if I can’t afford anything else? What are the best Schwinn mountain bikes? What Cheap Mountain Bikes To Buy INSTEAD of Schwinn? What happened to all those great Schwinn bikes that people like me grew up riding? Unfortunately, the company was bought by Pacific Cycles a few years ago and since then quality has been on a bit of a downward spiral, in my opinion. Plus, Pacific Cycles was acquired by Dorel Industries in 2004, taking the company even further from its roots. So, are these bikes made in the USA? No, they are not. These days, instead of focusing on selling high quality bikes to people who invest in this hobby, they focus on selling bikes to people who shop at Wal-Mart and cheap sporting goods stores. And hey, there’s nothing wrong with those cheap sporting goods stores for the people who are on a tight budget but still want to be active and ride bikes. Heck, I used to be one of those people! With mountain bike and road bike shopping, it is important to remember that you really do get what you pay for. And Wal-Mart is no place for the serious cyclist or MTBer to do their bike shopping. Truth be told, some of the sporting goods stores are also no place for bike shopping. Even Consumer Reports recommends people avoid buying cheap bikes unless it’s just for casual use. That being said, I know that not everyone can afford to go out and buy a new Diamondback Overdrive Sport 29er or something similar. And I also know that finding a bike that you feel comfortable on and is a good fit for you is definitely more important than the brand name listed on the frame. Probably the most important thing to know about Schwinn bikes is that not many bike shops will actually work on them if you need repairs. And if you’re going to be riding the bike regularly, then there is a decent chance that you will end up needing to get it repaired. What if you’re shopping for kids bikes? In that case, I think you can probably take the chance on a Schwinn since your kid will likely outgrow it at some point in the near future anyways. Then, you can upgrade the kiddo to something better. Bottom line: Schwinn bikes are definitely not a great choice, but if you find yourself on a budget or if you discover that you really like the feel of a Schwinn, then go for it. Just do not expect it to last you as long as a Diamondback or other quality brand. And remember, that frame is really the main thing that is Schwinn and the other parts are not, so it won’t be a complete loss. And for the casual rider, the cheap bikes at Wal-Mart and the like are a decent choice, but not for harder riders. Even though you know what to expect going in, sometimes you just can’t afford to spend any more money on a hobby like this. I get it and I want to make sure that you end up with a Schwinn bike that will last you the longest. So, I’ve compared all of the models currently on the market to determine what your best options are right now. 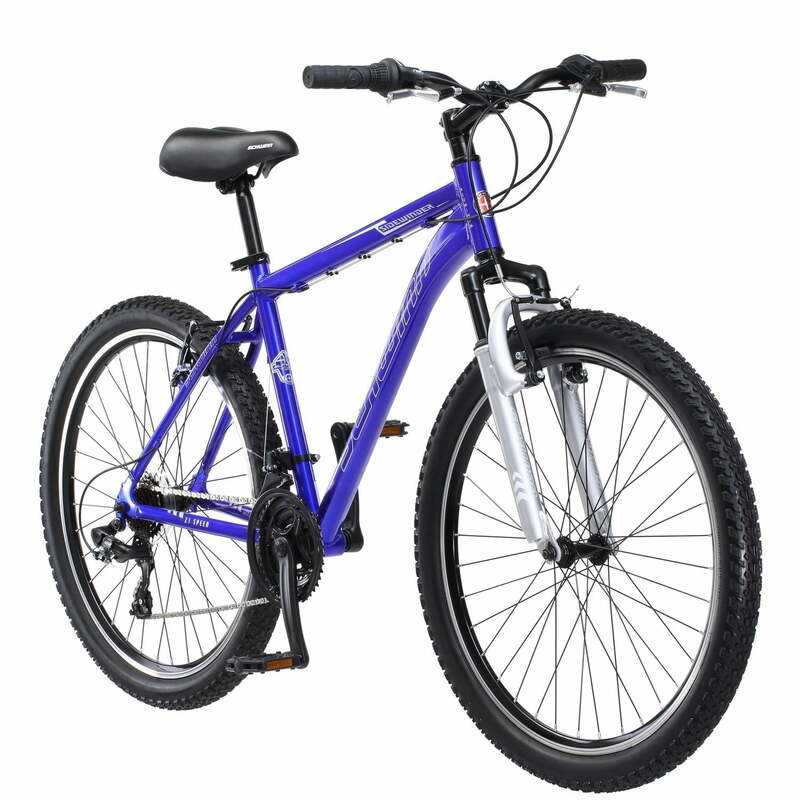 Check out my mini Schwinn mountain bike reviews below. As expected, it’s hard to find a Schwinn mountain bike for guys that has a rating above 4.0/5 but we managed to find just one that gets higher marks from consumers. 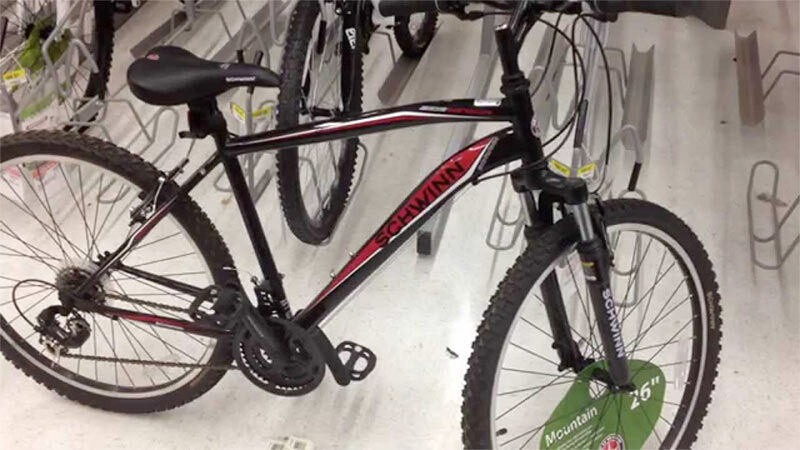 The 26″ Schwinn Sidewinder Men’s Mountain Bike is the only option we’ve found that rated 4.0 or higher by consumers. With a price under $200, this is a surprisingly decent option if you can’t afford to spend more on your mtb. It’s not the most comfortable ride out there and I think you’ll find that the front suspension is a little soft. I think the biggest problem with this one though is its weight. This bike weighs right at 40 pounds, which is massive for a mountain bike. You are not going to want to lug this thing around any trails. 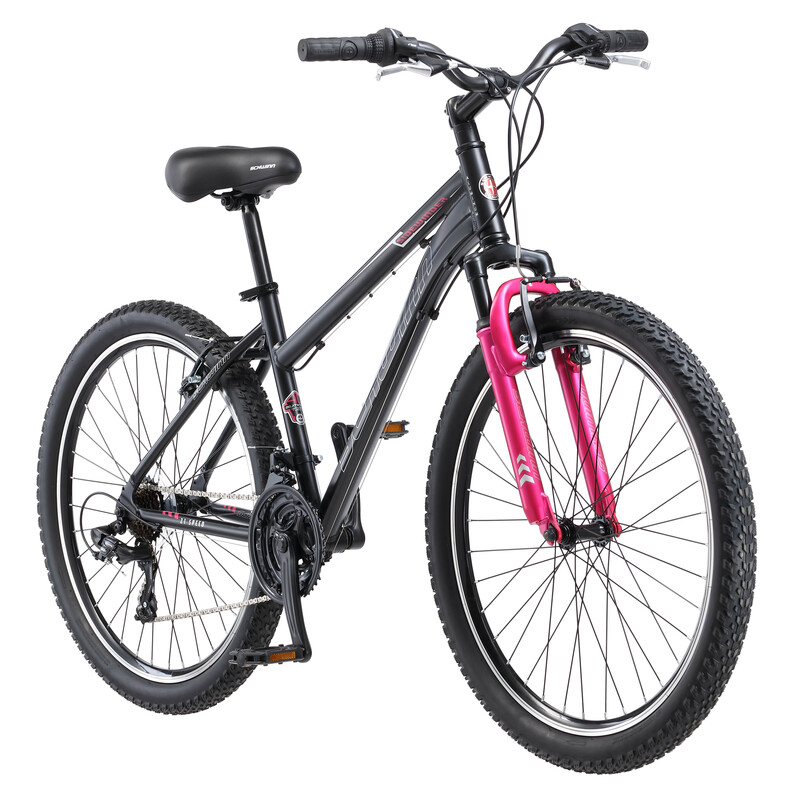 As expected, we could only find one Schwinn mountain bike for women that customers rated 4.0 or higher, and that bike is the 26″ Ladies Schwinn Sidewinder. This bike is basically just the female version of the male bike listed above. This bike is a bit lighter than the male version, at around 32 pounds, so that’s nice for the ladies. That being said, if you’re on a tight budget, then getting a good mountain bike under $200 can be accomplished with this model. Now that you know what to expect from a Schwinn mountain bike, you might be interested in knowing what other cheap mountain bike options are out there. Well, you can check out our list of the best value hardtail mountain bikes, but we do list bikes up to $1000 in price on that list. But, if you can afford to spend a few hundred more dollars than what the Schwinn mtbs cost, then I have a great alternative for you. If you can swing the price, then you will get a much higher quality mountain bike for the money with one of the REI Co-op Cycles DRT 1.1 Bikes. Right now, this is the best mountain you can get for under $500. The list price is $499, but if you spend the $25 on a REI Membership, then you can get a cash rebate of around $50 on your purchase (which you can use to buy other stuff or just get the cash in-hand). One of the best things about this bike is that since it’s made by REI, then not only do you know that it’s high quality, but they stand behind it with an awesome warranty. 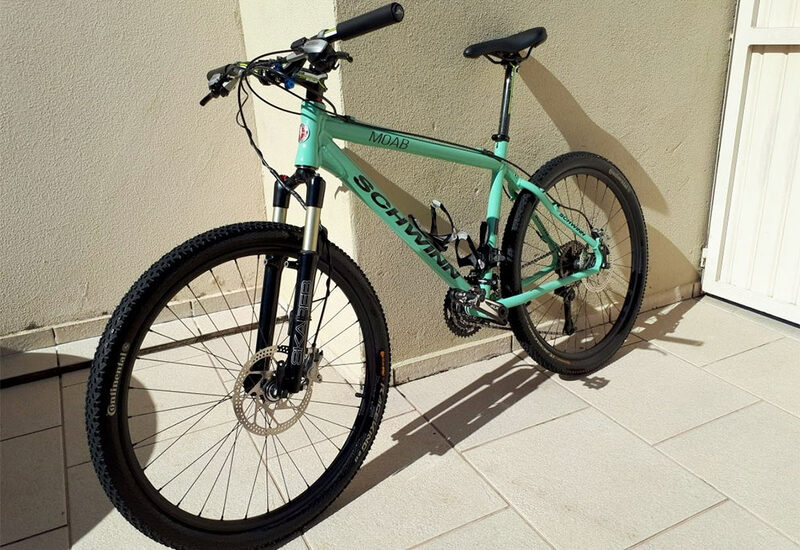 This bike is the perfect combination of quality components, performance and price. You truly cannot beat it when you’re shopping for a beginner mountain bike, or even just a cheap mountain bike that will last. It weighs just over 30 pounds (for the men’s version) and is truly the better choice compared to a Schwinn mtb. Made for off-road adventures, the Co-op Cycles DRT 1.1 features a versatile 3 x 8 drivetrain and the solid stopping power of hydraulic disc brakes, giving new riders the perfect amount of control.